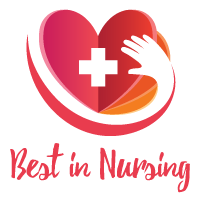 The American Health Council recently named Amanda Livingston, ADN, BSN, RNC-MNN to its Board of Nurses for her outstanding contributions to the healthcare industry. As a registered nurse, Mrs. Livingston provides high-quality care to patients at the University of New Mexico Hospital in Albuquerque, N.M. Although she has held her current role for six years, she has spent the last 17 years perfecting and expanding her expertise in patient advocacy, education, discharge preparation, precepting and acting as a resource to staff to ensure that both patients and medical staff engage in a positive and efficient way. Mrs. Livingston’s interest to pursue a career in the nursing field stems from a painful experience. When she was young, she broke her arm, which led her to stay at a local hospital to repair her wound. While she waited, she memorized medical graphs hanging on the walls, and realized she enjoyed the hospital atmosphere and its educational tools. Once the nurses reviewed her wounds, Mrs. Livingston confided to them that she, too, would be a nurse one day. Eventually she fulfilled her dream and earned a technician certification from Albuquerque TVI, a Community College in 2001. She later earned a scrub technician certification in 2004, and later enrolled at Apollo College, where she earned an associate’s degree in nursing in 2009. She continued to gain momentum in the nursing field by earning a bachelor’s degree with honors in nursing from Grand Canyon University in 2017. At the University of New Mexico Hospital, Mrs. Livingston works in the nursery as a core newborn nursery nurse, ensuring that each newborn receives proper and delicate care. Her clinical duties include bedside care, assessing newborns after birth, performing laboratory exams and administering medications as ordered. She ensures that patients are well educated by offering baby-friendly patient education in infant care, skin-to-skin and lactation. Mrs. Livingston performs relief charge duties, enhances teamwork efforts and implements staff resource and support. Mrs. Livingston is viewed by fellow nurses as they go to resource for not only babies but across the board. She is also known to be the first nurse in the room during emergencies and is much depended on. Another aspect of Mrs. Livingston’s position as a core member of the NBN is to orient new staff to the assessment and care of newborn babies. She is recognized as one of the best mentors on the unit. She truly has a gift educating new staff and making them feel comfortable. She is very approachable and takes pride in the education she provides. Entirely dedicated to not only educate patients but the public as well, Mrs. Livingston serves as the main resource for education and training in shaken baby syndrome prevention and composed a plan-do-study-act initiatives to prevent the traumatic brain injury. She conducts research and trains staff on the topic so they can later properly relay the information to parents and families of newborns to prevent shaken baby syndrome. Her passion and dedication to her job earned her the Distinguished Preceptor of the Year honor in 2015, and she was named the University of New Mexico Hospital’s Mother Baby Unit Employee of the Month in both February and August 2016. With a fruitful and accomplished career already underway, Mrs. Livingston was proud to complete her certification in maternal-newborn nursing and become a core newborn nursery nurse. 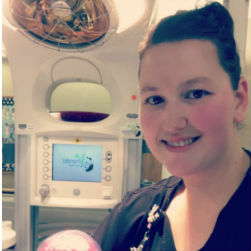 She looks forward to completing the neonatal resuscitation instructor program this year and becoming a trainer to other healthcare professionals. Her nurturing demeanor pours into every aspect of her life as she donates to the American Cancer Society. In her free time, Mrs. Livingston enjoys spending time with her family, watching movies, traveling and rooting for her favorite football team. Mrs. Livingston attributes much of her success to the never-ending encouragement from her family, co-workers, mentors, and loving friends who pushed her to become the nurturing nurse she is today. Despite any obstacles that may arise, Mrs. Livingston is dedicated to help newborns and their families with a future goal of earning her master’s degree in nursing and continue to make a positive impact in the maternal newborn field. At the UNM Health System you’ll find the state’s only Level I trauma center, only National Cancer Institute-designated comprehensive cancer center, a comprehensive stroke and neurotrauma service, a comprehensive burn center, a pediatric cardiothoracic surgery program, advanced women’s care, adult and children’s psychiatric services, bariatric and orthopaedic programs, and dozens of other specialty lines that we are uniquely equipped to deliver. UNMH the state’s only academic medical center, is the primary teaching hospital for the university’s School of Medicine. UNMH cares for a large, diverse population with complex and urgent health needs, providing more than $135 million of uncompensated care per year.